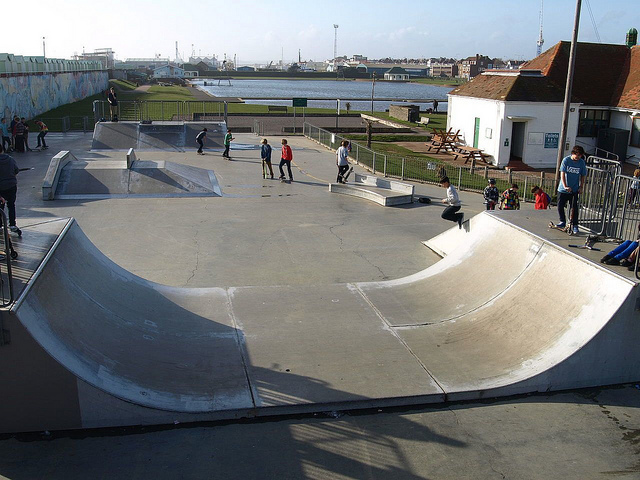 Hove Lagoon skatepark is a a nice concrete park with all of the basics, featuring street and transition elements. However the main attraction of this park is the location, being situated right next to the beach. 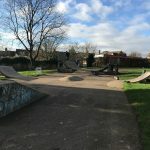 The park itself has a 4.5ft mini ramp at one end and attached to each platform is quarter and flat bank that lead into the main section of the park. This holds a driveway with hips, a hubba and a ledge adjacent to a curved ledge box with raised ledge attached. At the far side opposite the mini ramp is a 5ft bank with a drop in box in the centre. 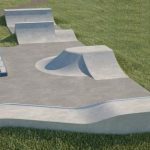 This is a nice and simple park but the surfaces are silky smooth and there is a lot of space between the obstacles meaning it doesn’t get too crowded given the size. Good spot for an evening session as the sun goes down over the sea or for a warm up. Portslade train station: Exit the station onto Boundary Road and head south until you reach Wellington Road. 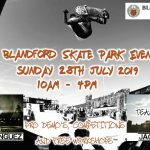 Once here turn left and follow the road as it turns into Kingsway and follow it along the coast line until you see the skatepark on your right. Wish Road South bus stop: Exit the bus and the skatepark should be in sight. 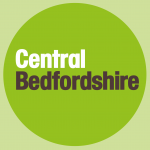 There are no on-site toilets however there are free to use facilities nearby.